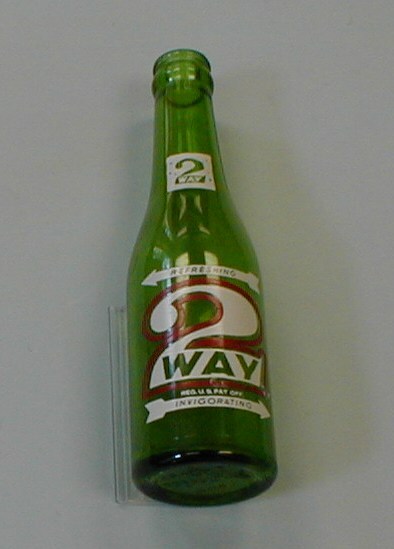 This donated bottle of 2-Way soda was bottled in Batesville, AR. We are searching for more information about 2-Way and the bottling done here. If you have information, please comment and help us out. For more posts about items in our collections, please select the items in our collections selection in the categories dropdown on the right side of the page. on few normal things, The site style is perfect, the articles is really nice : D.
I signed up to your rss feed! Might you post another recommendation of this theme? What exactly I required to get. Really clear and valuable post. Im certainly a violator of numerous of the guidelines. The blog theme is the free version of Adventure theme. WordPress does not require coding knowledge, although it can be helpful to know some html at times. You might look at some beginner WordPress books — There a a lot of them. I don’t have any specific recommendations, but you might try a google search on “WordPress for Dummies” or the like. The writing style of beginner books differs greatly. “Head First WordPress” is radically different in style so you may want to compare before investing time and money. Good Luck! To contact the Webmaster, please use the Webmaster button on the Contact Us page accessed from the main site, http://www.oirm.org. That iis a really good tiip especially too those nnew to the blogosphere. Its not my first time to pay a quick visit this web page, i am browsing this website dailly and take fastidious data from here every day. in writing this blog. I really hope to view the same high-grade blog posts by you later on as well. I assumed this post used to be great. I do not understand who you are but definitely you’re going to a famous blogger in case you are not already. enjoyed your site so much they deciԀed to bookmark it. Ӏ’ll unquestionably be coming Һere more οften. If you can tell me a location for the problem, I will check. use of Google whilst searching for a similar topic, your website came up, it looks great. The blog portion of our site uses WordPress. The main site use standard html, php, etc. We try to avoid flash due to incompatibility with some mobile devices. works the same as a photography class minus the darkroom setting. All posts are moderated before appearing, as it states on the blog sidebar. Posts not related to the content of this site will not be approved; sorry, but that is our policy. We are glad you like the blog, however. Try to avoid flash. Menu’s probably will need tweaking at the basic html level. many helpful info here in the put up, we need develop extra strategies on this regard, thank you for sharing. Does Skin Whitening Forever Works? Can you tell me which pictures? Thanks. You can put a permanent watermark on pictures. Not sure about text. Our site has an overall copyright notice on the first page. Hello, of course this piece of writing is truly pleasant aand I have llearned lot of things from it reegarding blogging. you made some dayss in the past? Any sure? To find contact details leave the blog and use the main site menu at oirm.org and go to cotact us. You can use the RSS subscribe option to stay up to date. This post offers clear idea designed for the new users of blogging, that truly how to do blogging. Mobile phones and iPads etc. don’t like some animations and videos, often flash doesn’t work. You may have to convert to jQuery or pure CSS for mobile devices. This site uses them and seems to work on iphones and android and iPad. Hello, of course this article is truly good and I have learned lot of things from it about blogging. If you are using a mobile device (notably android) or anything else that does not support flash some of the slide shows don’t work. A revised site is coming that will fix this and not require flash. Thanks for the compliment. We have a very specific field and subjects so no general comments on blogging. you are using on your page, I would love to use the same theme so I can use it on my page (pirater un compte facebook). My web site (unreadable code). Cannot read your website. Please do not insert code. Contact details are on About Us page. Thanks for the compliment. Doing this for about a year or so. We would like to know how much this two way bottle is worth, My father has one. The museum does not have value information, but I have seen listings of similar items for sale on eBay. You can check there to see asking prices. I was just looking at your web sight, & was wondering if you still have the jail house lock my brother James Whisnant donated a couple of years back? I will refer your query to Twyla Wright, the OIRM curator. Information on old donated lock. Description: Heavy iron working lock and key. Has heavy brown string attached from which the key may have hung. Ethel Gray married David Whisnant. Ethel received the lock and key from her brother, who was a jailer at the Batesville jail. Date unknown. I have added some more 2 Way images from the internet. They can be found by looking at the items in our collection category. 2-Way Soda was a lemon-lime flavored soda bottled by the National NuGrape Company. NuGrape was started in 1921 as a manufacturer and bottler of a variety of soft drinks. The 2-Way brand was introduced in the 1950s and was part of the NuGrape soda brand lineup that also included NuGrape, Sun Crest, and Kickapoo Joy Juice. 2-Way seems to have been discontinued some time in the early 1960s. It most likely disappeared due to fierce competition from other lemon-lime soft drinks, like 7 Up and Sprite. If you can add anything to the background story of 2-Way Soda, please add your comments. Another reference said that some Pepsi bottlers also made 2-Way. Thanks so much for the information. I’ll include part of it in the object’s description!